Less than six hours from now those colts, geldings, and fillies will be bursting through the gate for the ride of their lives. As their owners and millions of viewers around the world, including those fortunate enough to get a ticket to be within spitting distance of the Winners Circle at Churchill Downs, watch the two most exciting minutes in sports, nothing pairs better with this experience than the classic Southern drink, the Mint Julep. According to culinary history, the drink’s popularity rose amongst those farmers rising at dawn on their farms in the eastern and southeastern United States. Along with the farmers getting up early, so too did the horse trainers who would mix up a julep the same way we reach for our coffee press or push that coffeemaker button. “You see, the julep was originally a morning drink. It was the spirited equivalent of coffee in today’s society. Just the drink needed to get the morning started and the ultimate picker-upper,” explains Morris. Through the years, the drink started showing up at regional horse races, where the mint julep made the transition from a morning drink to a “sipping” cocktail. In keeping with tradition, Woodford Reserve®, as the Official Bourbon of the Kentucky Derby®, serves up over 140,000 juleps for horse race aficionados to sip at Churchill Downs between Oaks and Derby Day. 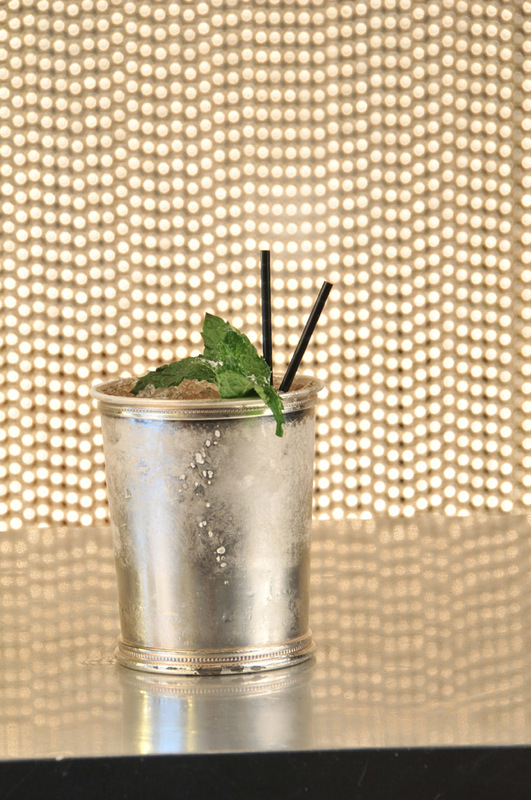 In honor of the 89th year that the Kentucky Derby winner has been awarded the gold trophy just 89 of these discerning drinkers will be enjoying their juleps brushed with the Midas touch. Celebrating the gold standard that Woodford Reserve has set by winning gold medals at every major spirits competition, Woodford presents the world’s most exclusive julep cup – the Woodford Reserve $1,000 Mint Julep Cup. Each features exclusive gold-influenced ingredients and comes with a unique Golden Opportunity auction experience that puts the winning bidder in the Winner’s Circle on Kentucky Derby Day. Proceeds will benefit Old Friends Thoroughbred Retirement Center. The cups were available for purchase online from April 15-May 2 at www.woodfordreservemintjulep.com. 79 Distinguished Cups were available for $1,000 each featuring a hand-engraved Thoroughbred and rider from atop the Kentucky Derby gold trophy and a gold-plated garland of roses. Available for auction with starting bids of $2,000, 9 Legendary Cups display a gold-plated Thoroughbred and rider medallion with brilliant cut diamonds. One Legendary Cup was also included in the Golden Opportunity auction experience package with an opening bid of $5,000. The winning bidder will present the trophy for the Woodford Reserve Turf Classic on Kentucky Derby Day and also enjoy a private tour and dinner at Woodford Reserve Distillery plus a private tour of Old Friends Thoroughbred Retirement Center with a Hall of Fame jockey. Owners of the Woodford Reserve $1,000 Mint Julep Cup will enjoy their mint julep today featuring a unique set of gold-inspired ingredients: ice made of gold-filtered mineral water sourced from the easternmost reaches of Nova Scotia; mint leaves dusted with gold and grown in Woodford County, Ky.; Woodford Gold sorghum from Woodford County, Ky.; and gold medal-winning Woodford Reserve Distiller’s Select bourbon. The 89 cups will be presented only on Kentucky Derby Day, May 4, 2013. But this doesn’t mean you can’t enjoy an icy cold julep this evening, or any day, just because you don’t have the golden cup into which to pour it or a horse in the race; make yourself a julep at any time with Woodford’s Kentucky Derby commemorative bottle and it’ll be just like you were there. Riding for the roses. Make a simple syrup by boiling sugar and water together for five minutes. Cool and place in a covered container with six or eight sprigs of fresh mint, then refrigerate overnight. Make one julep at a time by filling a julep cup with crushed ice, adding one tablespoon mint syrup and two ounces of bourbon. Stir rapidly with a spoon to frost the outside of the cup. Garnish with a sprig of fresh mint. There are bourbons that make you go, “Whoo-ee, boy! This is some damn fine bourbon. It’ll put hair on your chest!” And then there’s the kind of bourbon you’ll sip and it makes you think that despite the fact you’ve never been south of the Mason-Dixon line you’ve actually spent weekend afternoons sitting on a wide, sunny porch flanked by tall pillars, rocking back and forth and enjoying great conversation as the creek trickles softly down the hill. Russell’s Reserve (www.wildturkeybourbon.com) is this bourbon. The bourbon that transports you from your mundane and frigid city-bound existence to something much more laid back. It’s the kind of bourbon that you could sip at 8:00 a.m. and not feel a lick of guilt about it aside from the fact that you didn’t add it to the maple syrup so your family could enjoy it too. Russell’s Reserve is a hand-crafted bourbon born of a family business that reflects the 80-plus years of combined experience the father and son duo of Jimmy and Eddie Russell posessess. Master Distiller, Jimmy Russell has been making bourbon in Lawrenceburg, Kentucky for 56 years and has joined the ranks of the greats when it comes to his legendary craftsmanship. He collaborated with his son Eddie, a relative newcomer with 30 years under his belt, to create the acclaimed Russell’s Reserve. 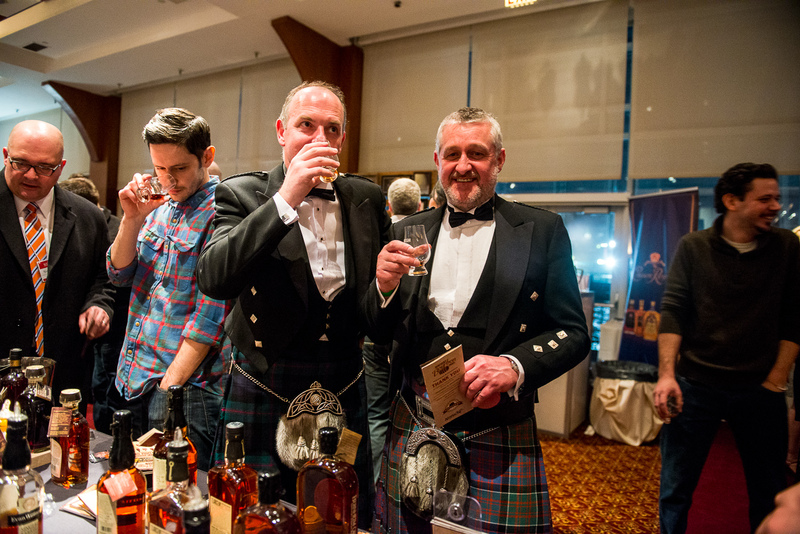 Jimmy Russell has worked at the distillery since 1954 and his devotion to his whiskey making comes from his family. His grandfather worked in the distilling business, as did his father before him. Russell’s Reserve is a very special clean, rich and full bodied bourbon that’s bottled at 90 proof. Rich with notes of toffee and oak on the nose it crisply delivers the liquid with hints of sweet caramel and vanilla. Perfect for any time of day. Or night (if you must wait). I, honestly, have never had a bad bourbon. Some, like a few lovers I’ve had, have been a a bit quick in the finish or perhaps a bit too green, but I’ve never had a bourbon that didn’t please me in some way. I drink all categories of spirits. I’ve had gin, vodka, rum, tequila, and brandy that didn’t delight. 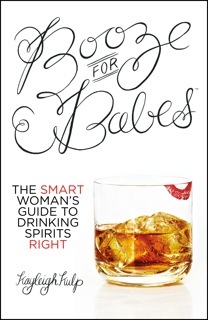 However, there’s not a bourbon on the market that I would refuse to drink. I could drone on about the American heritage of bourbon and how it’s patriotic to drink the only spirit Congress has declared a distinctly identifiable American product. Sure, other countries make whiskey, but only the US can produce a bourbon. George Washington may have made rye at Mount Vernon, but there’s something kinda romantically roguish about pioneering, rebellious folks avoiding taxes and bringing their whiskey makin’ skills further south, using a locally available grain like maize, and developing what we know now as bourbon. 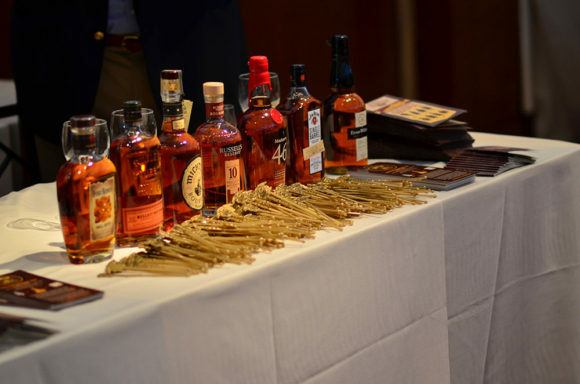 When you think of bourbon, you may picture southern gentlemen in stately plantation homes sipping mint juleps and acting all civilized, but bourbon lends a little mischief to even the most genteel manners. Milwaukee madame and bar owner Dirty Helen loved her bourbon and her boys about as much as she loved wearing flashy, fancy hats. Legend has it that Elijah Craig was the first distiller to age corn whiskey in charred oak barrels, and whether that was true or not, it is fact that he was a Baptist minister. I love that bourbon can be at home in a variety of company, whether preachers or prostitutes. 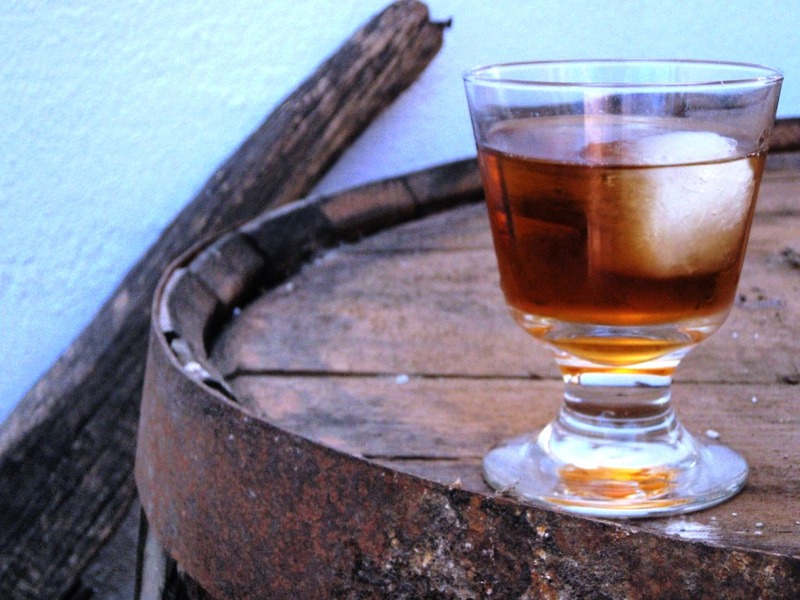 Many people associate brown spirits with brisk fall breezes and holiday hoe downs. For me, however, bourbon is like leopard print—always fashionable no matter what season. If someone says they don’t like bourbon, I don’t blame bourbon. Something tells me they just ain’t had it in enough ways to discover the best way for them to enjoy it. The versatility of bourbon is one of the many things I love about it, whether adding it to my libations or my comestibles. Bourbon’s a great addition to your marinade mix for a hunk of steak, a meatloaf, or even a hamburger. Bourbon’s natural sweetness adds depth to your bbq sauce. It’s my not-so-secret ingredient in my crowd-pleasing cakes, brownies, and banana breads. I use it as the base for my grapefruit bitters as well as my homemade vanilla extract. 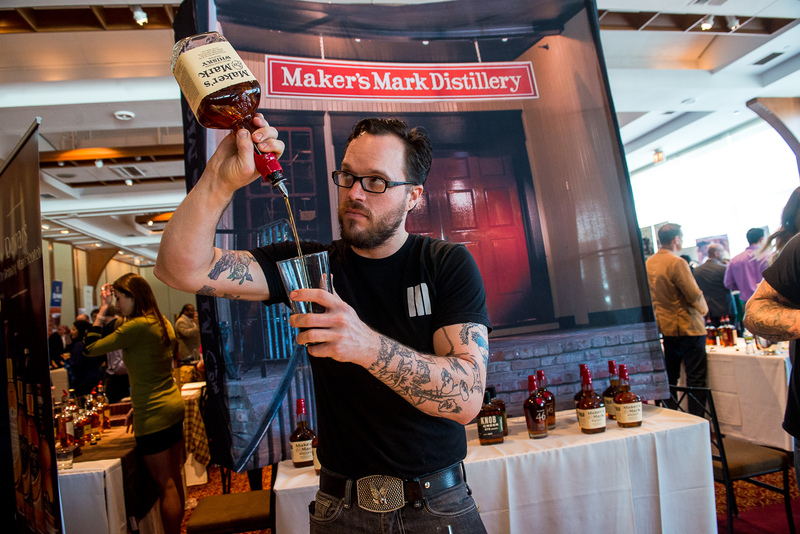 Bourbon’s flexibility in mixed drinks is hard to beat. Mix it up with mint in a frosty summer drink or heat it up with honey, cinnamon and clove for a winter warmer. Bourbon makes a great pair with a variety of common fruits such as banana, peach, orange, grapefruit, and lemon. I like to infuse it with dried goji berries for a rich, exotic flavor that’s perfect in my Mae West Royal Diamond Fizz www.casacoctel.com/index.php?option=com_rapidrecipe&page=viewrecipe&recipe_id=63, an after dinner treat meant to add a little devilish twinkle to your eyes and a little mischief to your holiday season. Shake all except Champagne to emulsify, then add ice. Shake hard, at least 30 seconds. Pour into chilled coupette half-rimmed with hot sugar. To properly rim the glass, take a slice of the grapefruit and moisten the outside of the glass rim. Dip the rim in hot sugar. Garnish with two bourbon soaked goji berries on a toothpick to the side. *Macerate 4 ounces of dried goji berries in a 750ml 100 proof bourbon (I prefer to use Four Roses Single Barrel). Let sit overnight at least. Squeeze out all the juice from the berries or put the berries through a juicer to liquify. Julie Reiner’s favorite spirit is not what you probably think it is. As she’s a native of Hawaii, one would think that Julie’s dream drink would include exotic ingredients like pineapple, star fruit, and rum, and inspire visions of far off places like the north shore of Kauai or the white sand beaches of Fiji. However, while she does show a deft hand at creating masterful libations reminiscent of Gauguin’s South Pacific, her personal go-to drink is far more mainland than that. But rather than let the cat out of the bag in my own words, I think it may be best to let Julie tell us in hers…later. As one of the world’s most accomplished and respected mixologists, Julie has helped define an industry, and along the way, built herself a mini empire of trendsetting cocktail bars that have been emulated countless times around the world. 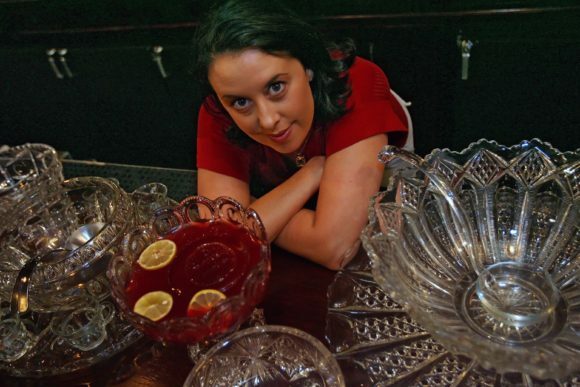 Strange as it may seem, while growing up the last thing Julie ever thought was that she’d end up in the business she’s in, or that she’d play such a major role in pioneering what we now call the world’s “cocktail culture.” Yet that’s what she’s done, and it may have been inadvertently due to the fact that she gets bored easily. Spend some time with her, and one almost immediately notices that Julie has a somewhat restless spirit, visibly apparent in her mannerisms and constant need to out-do her last success and not rest on her laurels. So, it may not be such a stretch to say that boredom played a key role in making her who she is today, as lack of inspiration invariably leads one to want to change a situation to the way they feel it should be. And this is certainly true in Julie. Like many young people first starting out in the job world, she was first drawn to the hospitality industry for the benefits it offered; like flexible hours, excitement, and quick money. Her first job, as a cocktail waitress at the Hotrod Café on Honolulu’s famed Waikiki Beach, was the perfect vehicle for this, and she did well there, but never dreamed of actually pursuing it as a career path. However, life has a strange way of dictating to us what we are born to do; and we are powerless to change it, no matter how hard we try. Calvin called it predestination, Aristotle and Taylor called it fatalism, and luckily for us, Julie’s experience at Hotrod Café lit an internal spark that remained burning no matter how hard she tried to extinguish it. And it kept coming back to life until she finally gave in and let it blaze the path to her future.